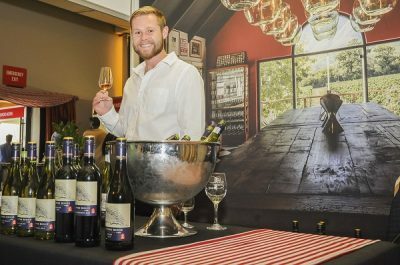 Thirsty visitors will be able to warm up with a glass or two of their favourite beverage when the TOPS at SPAR Wine Show transforms the Boardwalk, Port Elizabeth, into a winter WINEderland next weekend. Festive evenings of wine-tasting, wine-speak and enjoyable moments of friendship have again been made possible by the local liquor store. 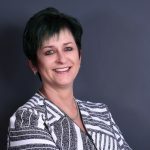 “A national decision was taken three years ago to continue branding TOPS at SPAR to the communities after the previous events were cancelled,” said SPAR Eastern Cape sponsorship and events manager Alan Stapleton. This is the fourth year that TOPS at SPAR has the naming rights to the event, which is organised by The Wine Show. The sponsorship will continue until 2020. “To be associated with the biggest wine shows in the country is something we’re immensely proud of. It’s a wonderful way to share the love and have lots of fabulous fun with our customers,” Stapleton said. A feature of the show will be the award-winning Olive Brook Range from the SPAR private collection portfolio. There will be three theatre presentations over the three days to introduce visitors to it. In addition to this there will be at least 42 different wine estates represented. Stapleton felt it was a great opportunity for winemakers to see what the public’s needs were and how best to make wines to suit various palates. “We encourage people to come and have fun with TOPS at SPAR and experience some of the best wines that the country has to offer. To date, PE has always been the country’s biggest event. Andrew Douglas, owner and producer of the show, endorsed Stapleton’s statements, saying it was a wonderful platform that connected some of the country’s finest producers to a domestic audience. Douglas added that the show had invested significantly, with the assistance of their headline sponsor, in a range of exciting new elements. Tickets, which include a tasting glass and access to the theatres, range from R140 to R495 and are available from the event’s Facebook page.